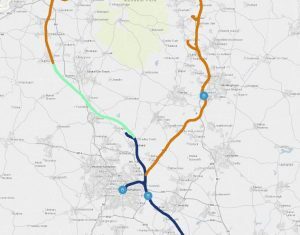 HS2 will build on Stafford’s reputation as an attractive place to live, work and invest. Other areas with major rail infrastructure such as Crossrail have experienced significant increases in house prices; we at Open House Estate Agents Stafford and Stone are geared up for a potential rise in demand for house purchases in Stafford that will inevitably ensue. Stafford could also see a £500m gateway development of a hotel, leisure and homes on land next to the station. This is thought to be sealing Stafford as an up and coming area. Stafford Town Centre’s intercity railway station is a huge asset to the town and the arrival of HS2 is due to help capitalise growth in Stafford. How do you think it will affect us in Stafford? Feel free to comment. At Open House we are keeping a watchful eye on how HS2 will affect us all, and in particular how we can help you benefit.